On the other end of the Northwest music spectrum, sound artist Yann Novak (yannnovak.com) recently released a full-length titled Fade Dis/Appearances. Originally commissioned by the Crispin Spaeth Dance Group for an interpretive dance piece, the album is a pitch-perfect gem, with Novak fluttering through nine compositions. Unknown Pleasures can’t help but imagine the dancers never toughed the ground. Fade is minimalism at its finest, conjuring as much as possible out of as little as possible. That some of these tracks manage to be so effective while doing so little is nothing short of musical sorcery. These stately, gaseous compositions were originally commissioned by the Crispin Spaeth Dance Group, and they formed part of a multimedia performance that took place earlier this year in Yann Novak’s native Seattle. Stripped of there context, they remain intriguing – abstract, sure, but not without a certain incessant resonance. This is Novak’s debut album, coming in the wake of a series of 3” Cds released on his own Dragon’s Eye label, and opening a new chapter in a compositional career that has progressed from youthful experiments with turntables and loops to these structures fashioned by laptop and minidisk. The pieces which make up Fade Dis/Appearances are mostly beatless and almost weightless, and, although the opening “Cartography Floor” is sparser than most, it sets out the record’s parameters – Distant, abraded drones; hovering, tremulous tones; tiny clouds of shivering microbial detail. The fallowing “Julia With Flanking” is equally poised but even more affecting, its vaporous spread somehow encompassing a stealthy, self-effacing melody worthy of Gavin Bryers. Fade Dis/Appearances is an assured and distinctive success. It’s the quiet ones you have to keep your eyes and ears on. This axiom applies to sound designer/visual artist Yann Novak, one of Seattle’s foremost microsound producers. 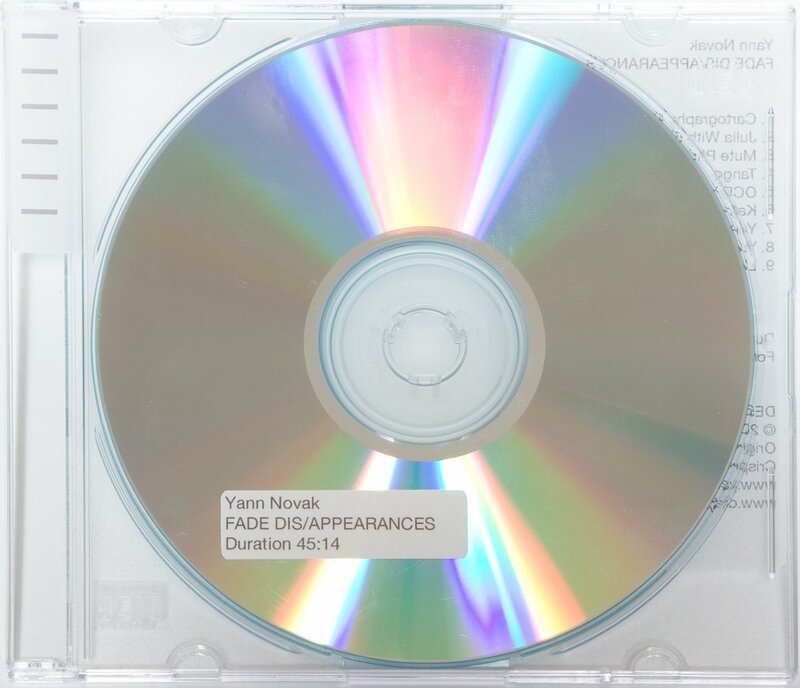 Novak has just released his debut album, Fade Dis/Appearances. A commissioned score to a Crispin Spaeth Dance Group performance, Fade vividly animates infinitesimal electronic and organic sound granules. You’ll wonder how dancers moved to these microbial soundscapes, save for “OCD Variations”‘s intricate drum ‘n’ bass rhythms amid hospital-equipment ambience. Before he began applying Mies van der Rohe’s minimalist principles to audio production, Novak raved and DJed trance/breaks in his Madison, Wisconsin hometown. After a brief, disastrous time in Phoenix in 1997, he returned to Madison to get his mind together after a dalliance with drugs. Shortly thereafter, Novak had several epiphanies and started making his own music. Novak’s also recently released a CD of field recordings accompanying local zine Ong Ong’s inaugural issue. Besides birdsong, airplane-engine drones, and splashing water, the disc bears something that sounds like a black hole sucking matter into its maw.